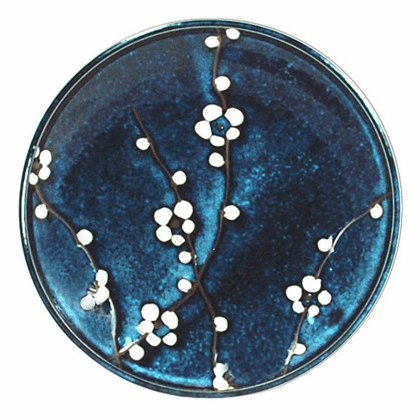 Home | Ceramic Bowls - Plates - Condiment Containers | Ceramic Plates | Blue Plum Plate 7-1/2"
Ceramic white plum with blue background dinner plate. Perfect for serving salad, pasta, sushi or small dishes. Measures 7-1/2 inches in diameter.